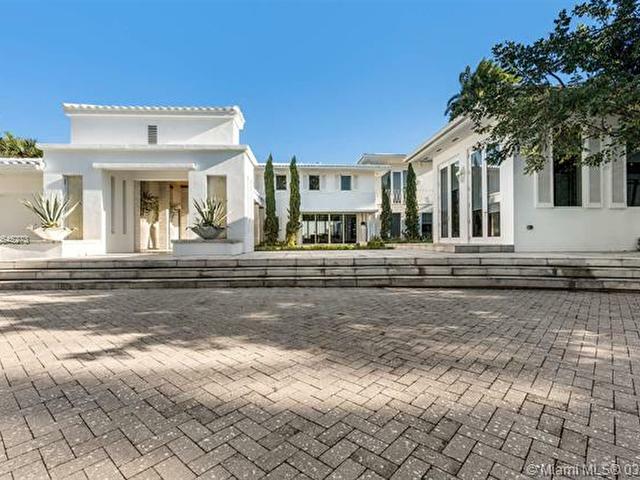 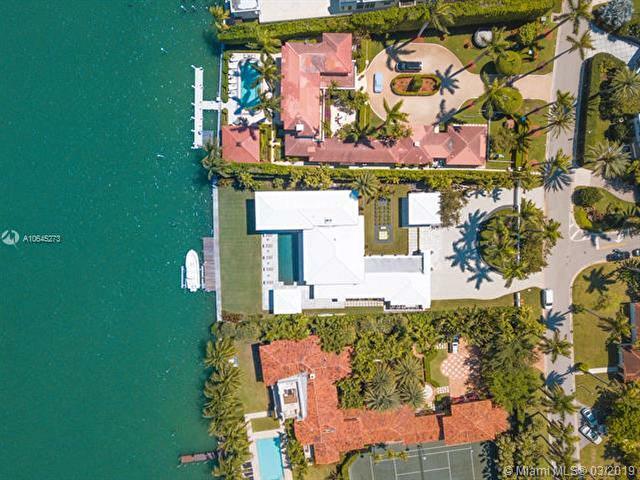 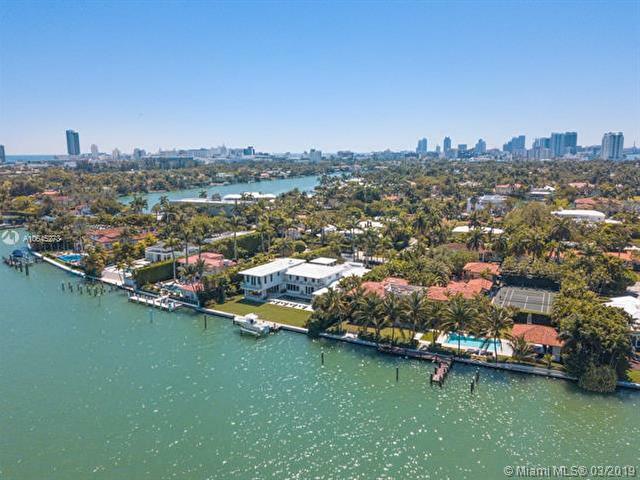 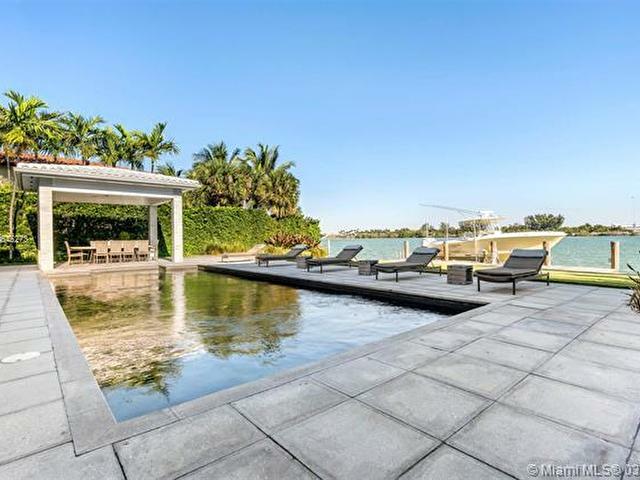 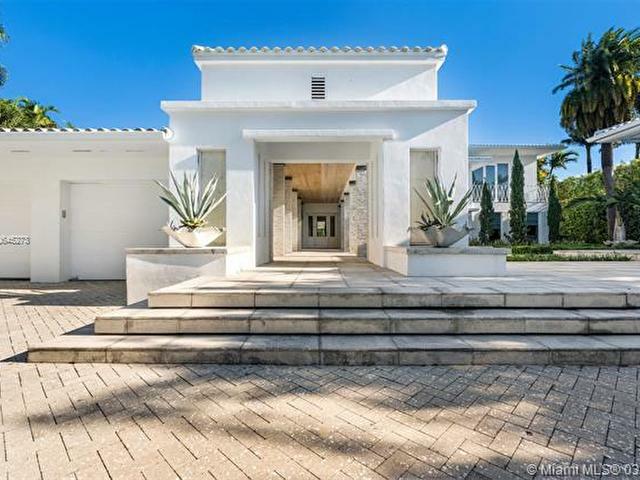 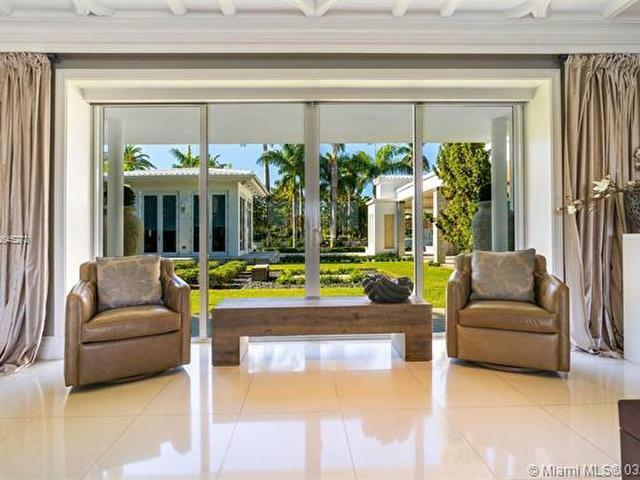 Elegantly restored bay front mid-century estate on prestigious Sunset Island I. 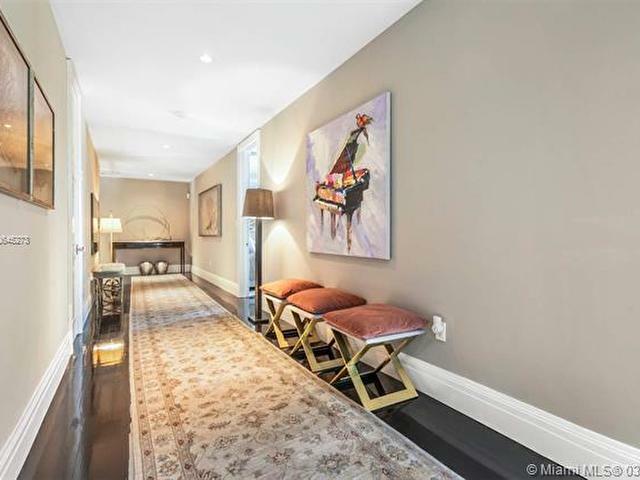 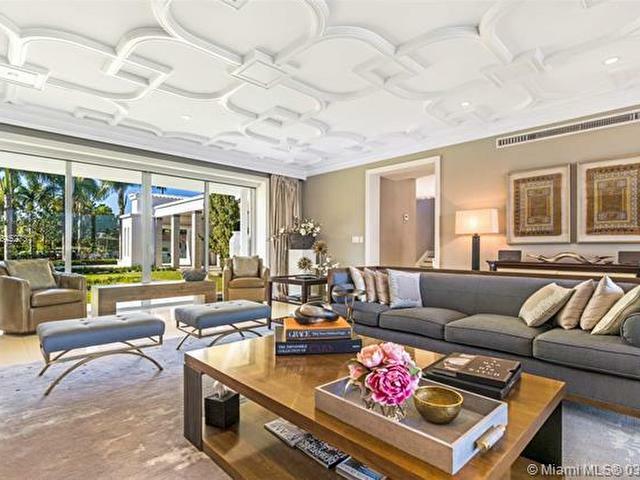 Contemporary and elegant interiors with marble and hardwood floors. 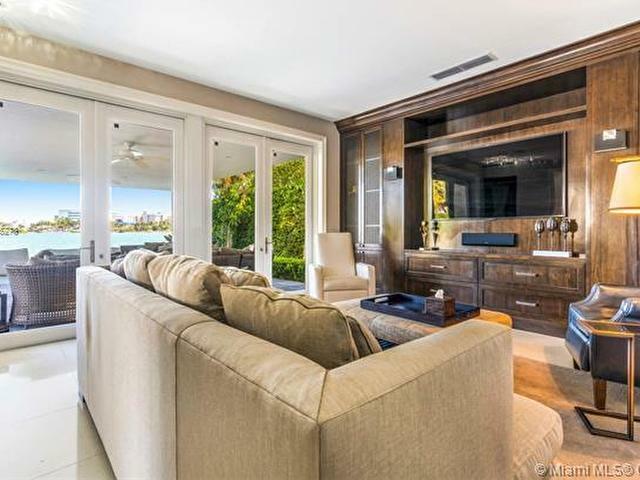 Luxurious finishes throughout. 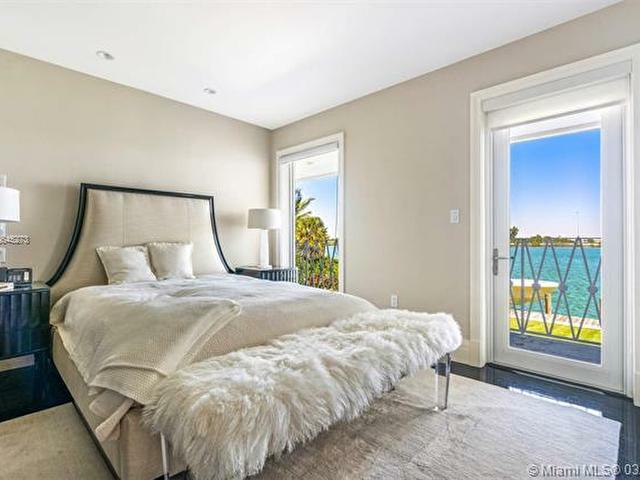 Master bedroom sanctuary, office, morning kitchen, walk-ins and spa bathroom. 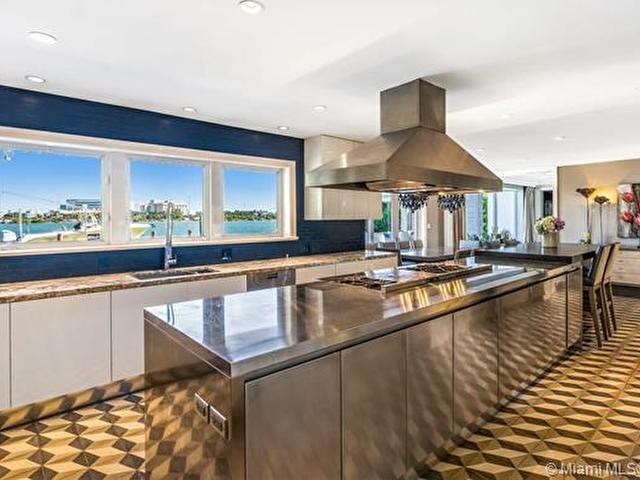 Chef's kitchen with top of the line appliances. 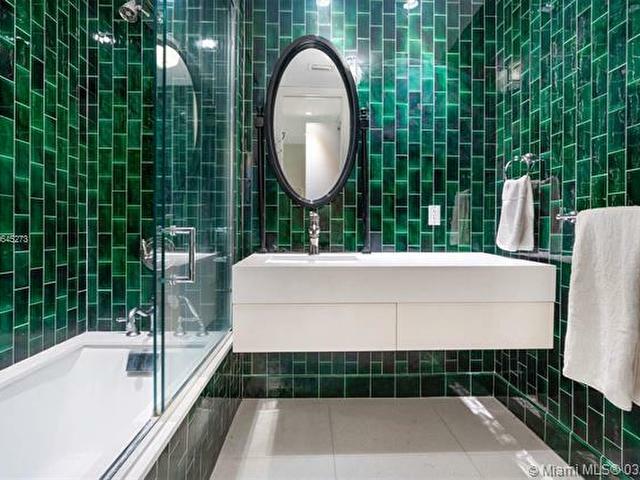 Designer bathrooms. 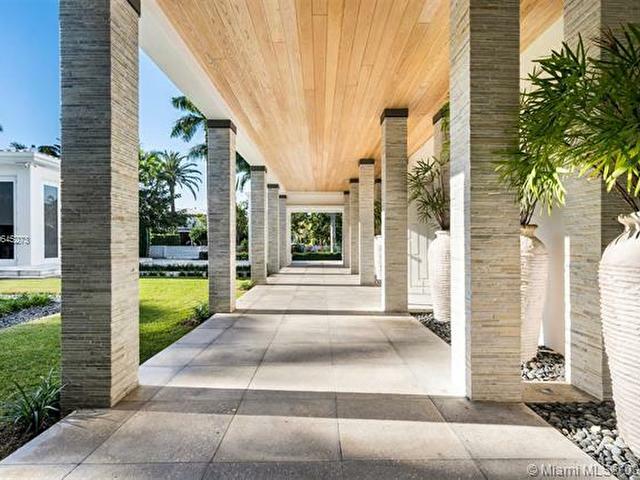 Landscaped courtyard entrance through loggia. 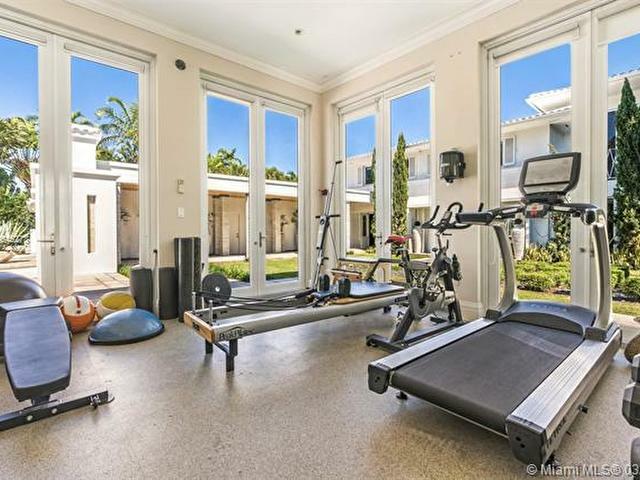 Separate gym house, fully equipped summer kitchen with heated pool overlooking the wide bay. 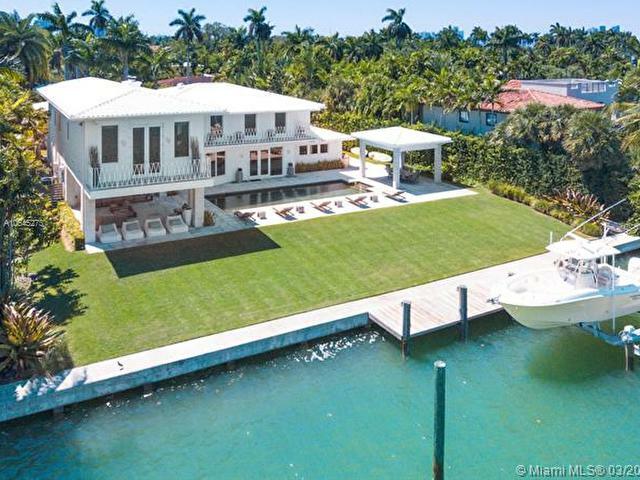 Alfresco dining, brand new dock, generator, brand new irrigation well system. 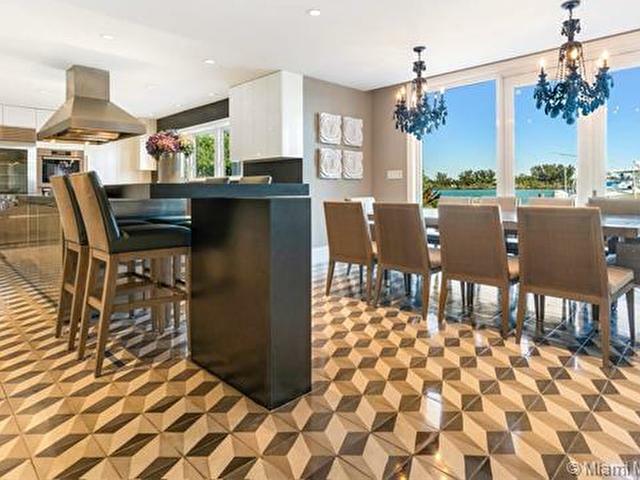 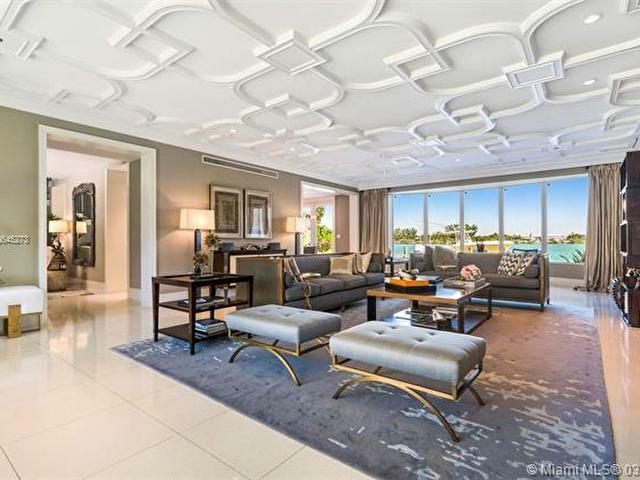 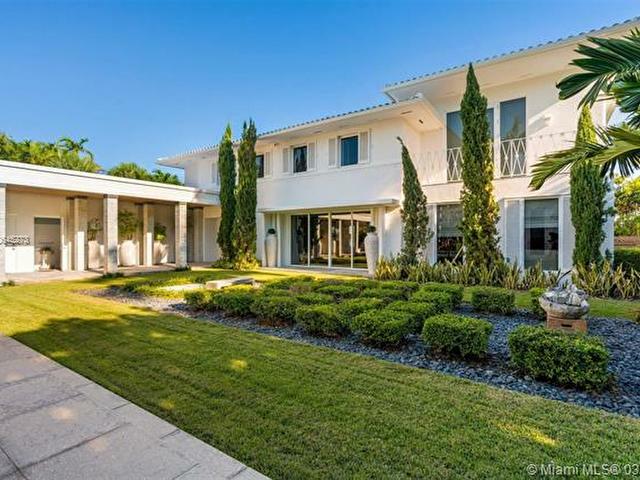 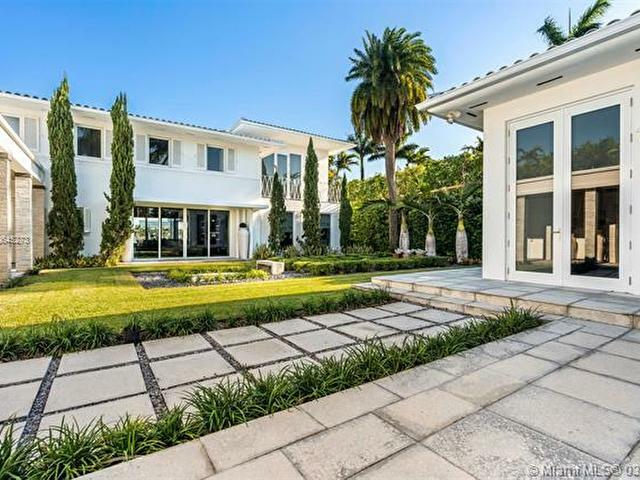 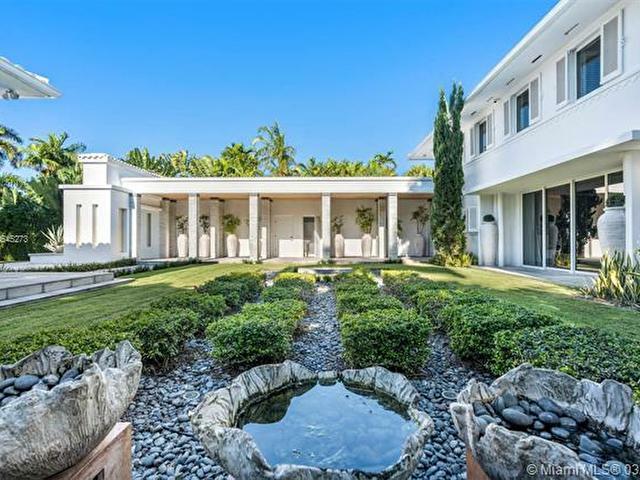 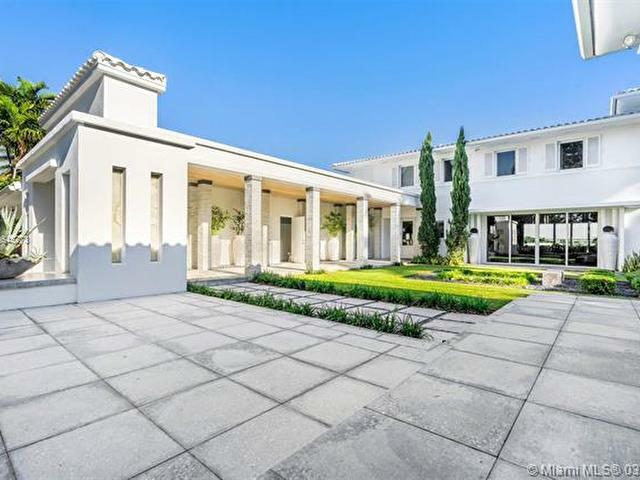 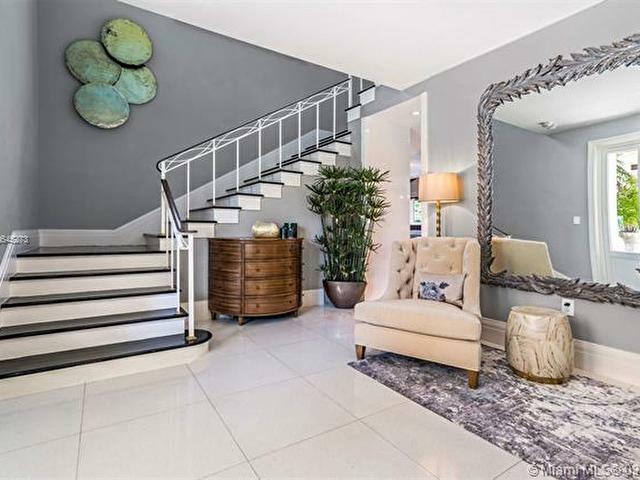 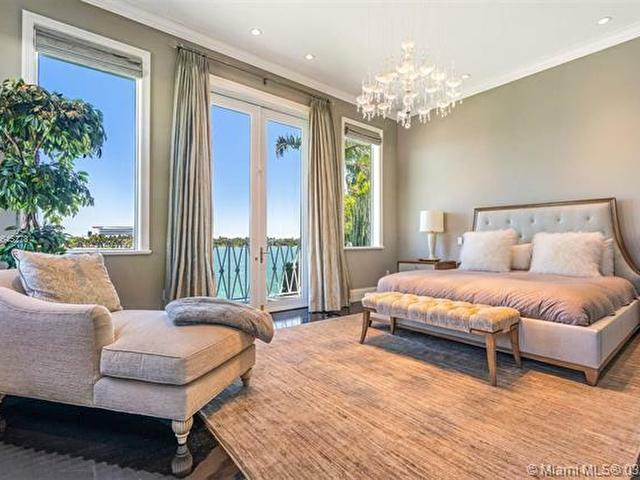 Casual elegance, chic interiors, leisurely resort style island living in the heart of Miami Beach.